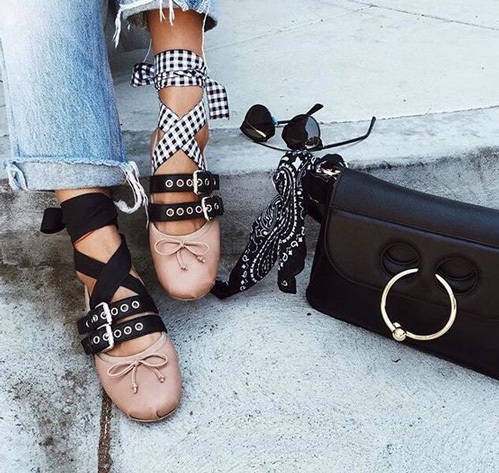 Designers like Miu Miu (above) and Valentino are jazzing up ballet slippers this fall with extra straps, grommets, and buckles. Read: they're taking the boring-been-there-done-that out of ballet shoes! Check out these new statements by Aquazuura, Isabel Marant, Asos, Paul Andrew, Sam Edelman, and Splendid. I just bought the knock offs of these! Shein has a spot on dupe. Zara also has a great option!